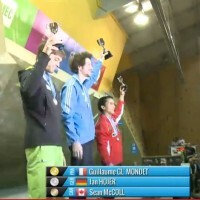 The 5th stop on the 2014 IFSC Bouldering World Cup circuit took place this weekend in Toronto1, Canada with Japan’s Akiyo Noguchi taking gold for the women and France’s Guillaume Glairon Mondet winning gold for the men. 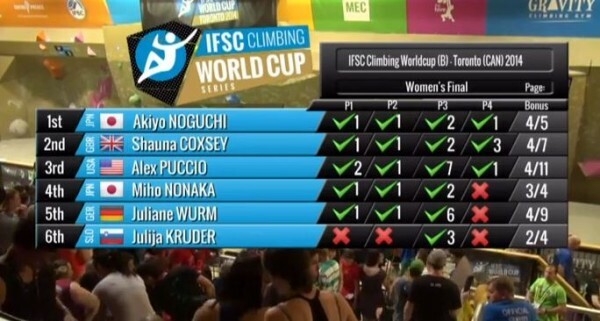 For the women, all three medalists finished all four problems, so it was attempts that separated Noguchi from silver medalist Shauna Coxsey and bronze medalist Alex Puccio. For the men, there was a bit more separation as only the top two finishers finished three problems. 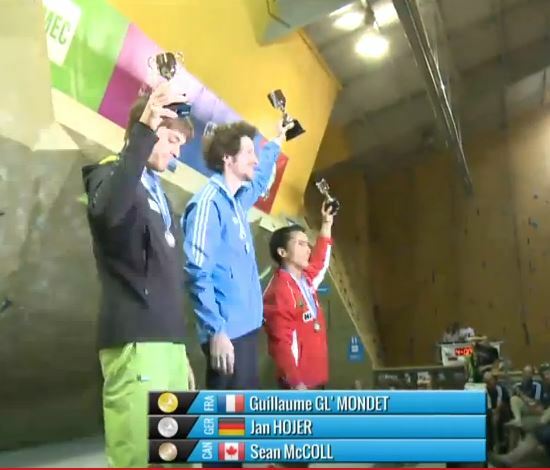 Just behind Glairon Mondet in 2nd place was Jan Hojer who could have actually won the comp had he flashed the final problem. 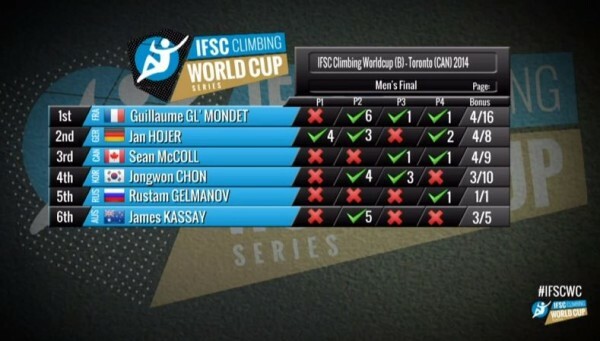 The World Cup circuit continues next weekend with its annual stop in Vail, CO.
Small correction, Chong Jong Won is from Korea, not Japan.